The story started when the traditional meat curd business was being joined by the business owners' second generation, who used to be white collars. 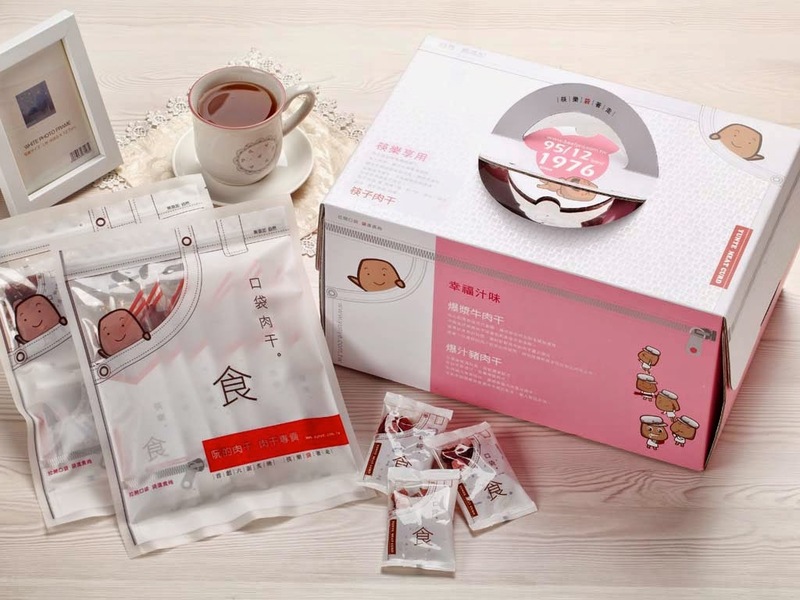 The Yunye brand was then created emphasizing how their meat curd stand out from the rest. Hung-Tze Jan (詹宏志), the Chairman of PChome and President of Taiwan Internet & E-Commerce Association (TIEA), had brought a group of successful Internet entrepreneurs to share their experiences and tips in the Malaysia-Taiwan Internet Business Summit 2014, which is recently held in KL. For e-commerce, it is always interesting to tell the story about the merchants themselves, and in the summit Mr Jan picked and shared a story about Yunye Meat Curd (阮的肉干). Of course, they started selling online (first channel being Mr Jan's PChome marketplace) and the business sky-rocketed from there. According to Mr Jan, "the average waiting period nowadays is 3 months and they stated it loud and clear in their homepage, indirectly hinting you not to place order". Imagine when a customer who order from you for the first time, it is actually a risk that he or she is taking to trust you first. In return, try not to just fulfil you customer with products, but also with a surprise or pleasant experience during the "first contact". Mr Jan shared his experience buying from Yunye Meat Curd, first thing observed being a piece of paper explaining the source of the meat used, and how is it being processed to produce safe, fresh and high quality meat curd. This provides a peace of mind for customers to consume the food. It is the level of attention to details that could wow your customers. Mr Jan summarizes the success factors of Yunye Meat Curd, the first one being focus and niche. Yunye did nothing more than what they are good at, with just 6 main products and altogether 35 products with various combinations. The second success factor being communication, whoever that leave a message to Yunye via any communication channel will be answered within one hour. The third one being their homepage, as there are plenty of information available in Yunye's homepage. The content at their homepage is lively and being renewed every day with various updates and sales proposition. Last but not least, it is that kind of customer experience when they receive the parcel (as demonstrated above) that keep bringing in returning customers. Following this case study, Mr Jan's then shared his tips for all of us here in the e-commerce industry, so read on here!